When my children started going off to school several years ago, I was shocked to discover that typical children's products, such as backpacks and lunch bags, were often made of harmful plastics and chemicals. I began to search for labels that read "lead safe" and "PVC-free." Back then, these labels weren't easy to find in your average store. 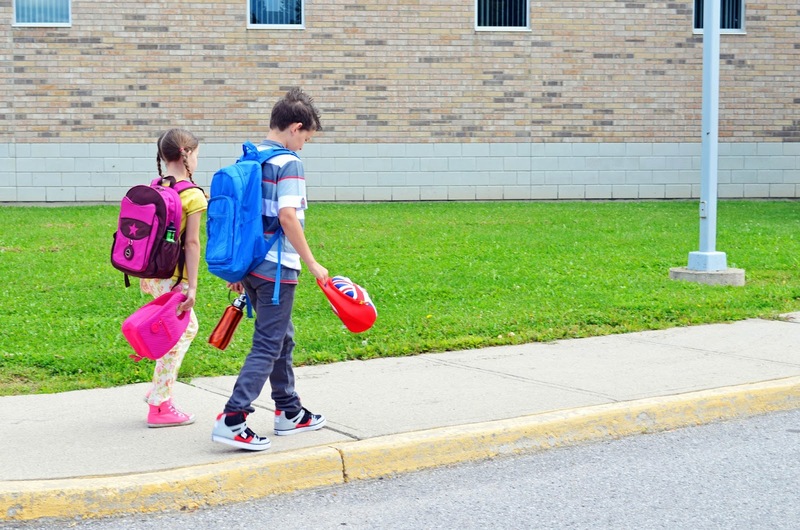 Thankfully, society is becoming more aware of the dangers of toxins for children and the range of suitable back-to-school options is much greater than it used to be. That doesn't mean the problem is gone away. Far from it. Just take a look at the Center for Health, Environment & Justice's (CHEJ) report on the hazards of vinyl. PVC is the most toxic plastic for children's health and the environment. A recent CHEJ report found toxic chemicals (linked to asthma and birth defects) widespread in children's vinyl back-to-school supplies. In fact, 75 per cent of the supplies tested had elevated levels of toxic phthalates - enough to make them illegal if they were toys. 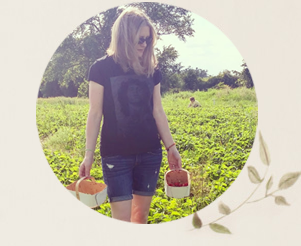 For the safest and most stylish of earth-friendly options, my preference is to look beyond the average store to green-friendly shops and websites like Fenigo.com, which sells "everything for a litter-less lunch" and a whole lot more. This year, for back to school, I have rounded up a range of beautiful, eco-friendly options for my little ones. 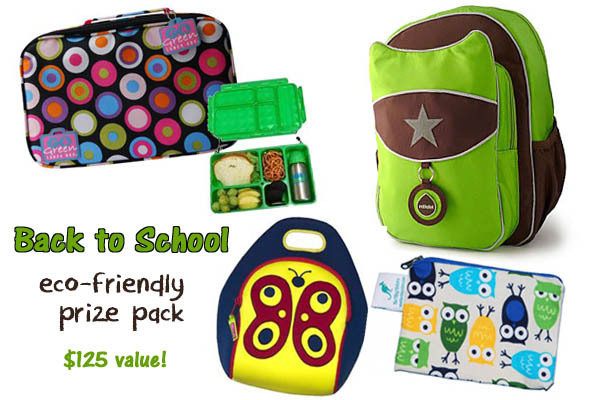 They will be going back to school in eco-friendly, child-friendly, mom-friendly style! My daughter loves her Milkdot Topkat backpack in plum. And I love the fact that it's made of durable, water-repellent, lead-free, PVC-free nylon. It has a roomy main interior with one large pocket and two small pockets. 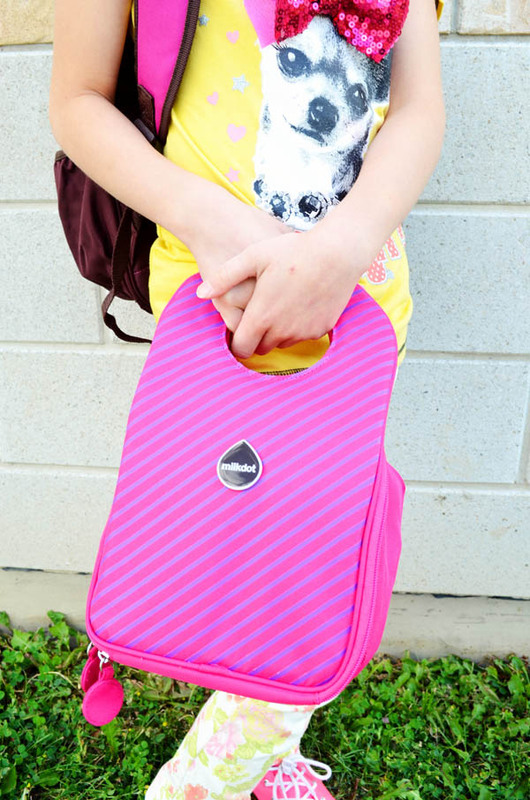 The lead-free, PVC-free insulated outside compartment keeps snacks and drinks cool. An ID tag allows you to personalize your backpack. Two elastic side pockets hold beverages so that your water doesn't leak on your books. Best of all, it's just so stylish! My girl also selected a coordinating Milkdot Stöh Lunch Tote/Bottle Bag in raspberry stripe. Made of durable lead-free, PVC-free fabric with a water-repellent finish, this lunch tote zips open around three sides so that the contents are easily accessible. The handles feature a hidden magnetic closure. The bag has a small outside pocket for easily accessible storage and a framed ID tag for personalization. Interior foam insulation means food and drink can stay cold up to 6 hours with an ice pack. The interior is easy-to-wipe and lead- and PVC-free. My son got a very cool Dabbawalla lunch bag from Fenigo.com. I love this union jack version. Dabbawalla lunch bags are crafted from eco-sponge, an innovative neoprene-like fabric. It has earned the rigorous Oeko-Tex 100 standard of safety in textiles, an ecological certification process that tests for over 100 harmful substances. The insulated, lightweight fabric is stain-resistant and helps retain food temperatures. It is completely machine washable, which is awesome because my kids come home with some funky leaks in their lunch bags sometimes! Dabbawalla bags are designed in the USA and responsibly sewn in Taiwan by a woman-owned and operated facility that supports fair labour practices. 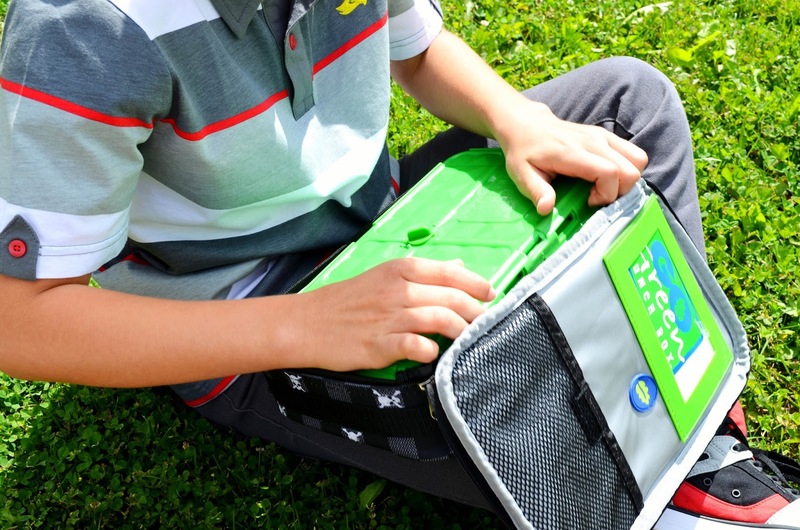 My daughter already has a handy Go Green Lunch Box set, so it was time to get one for my son. Go Green Lunch Boxes are perfect for creating waste-free lunches. 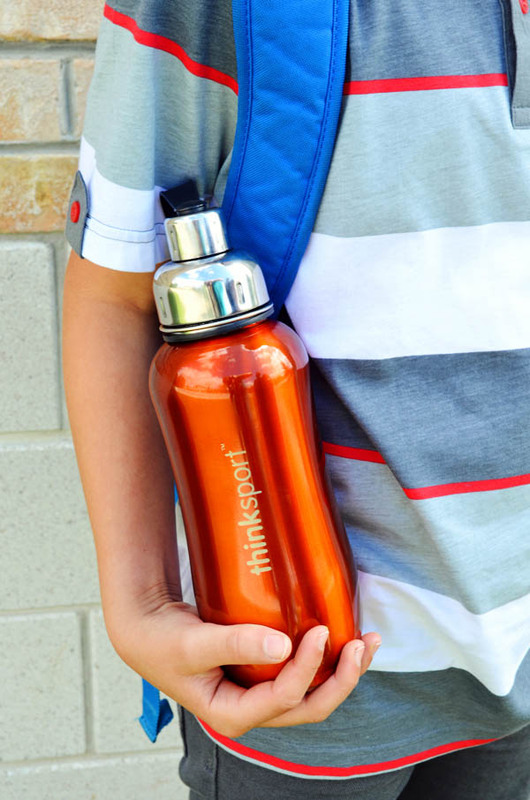 Everything your child needs for lunches and snacks (including a water bottle) fits into one container. Fill the compartments with sushi rolls, grapes, crackers, cookies or whatever else your child loves to eat. The turn n' lock technology keeps food fresh and ensures the contents don't leak from compartment to compartment. 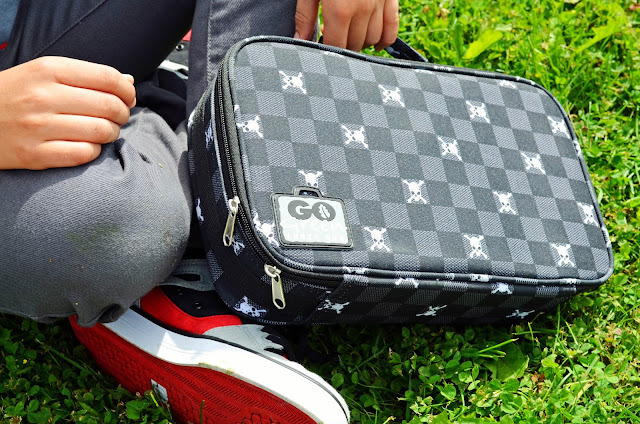 Each Go Green Lunch Box set comes with an insulated fabric carrier (with stylish patterns to suit boys and girls), a five-compartment food container and a stainless steel water bottle that holds nine ounces of water. All parts of the system are BPA-, lead-, leach- and phthalate-free. The food container can be washed in the top rack of the dishwasher (and believe me, I have done it). My whole family is fighting over who gets to use this thinksport water bottle. Pick one up and you will see (or feel) why. This is no ordinary water bottle!This baby's got some weight. That's because it's super insulated to keep your beverage hot or cool for hours! It's made from double-walled and vacuum sealed stainless steel. It doesn't sweat (for cold contents) or burn your hand (for hot contents). It has a contoured design for easy holding. The thinksport bottle also features a removable mesh filter to keep ice from blocking the drinking spout, or to brew tea on the go. The products undergo rigorous chemical and biologic testing to ensure they don't contain toxic chemicals. Check out this LIVESTRONG version on SnuggleBugz.ca. 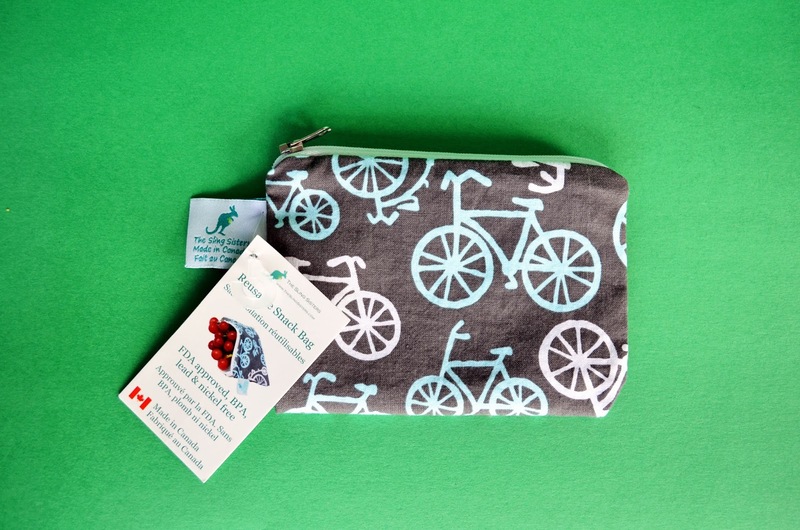 An earth-friendly alternative to plastic sandwich bags, The Sling Sisters reusuable snack and sandwich bags are BPA-, lead- and nickel-free and made in Canada. Simply wipe out the inner lining when you've eaten your snack! They are also machine washable and can be dried in the dryer on a low setting. The small snack bag (pictured) fits a cup of raisins, a sliced apple or even a cell phone! The larger bag is perfect for a sandwich or bagel. thinkbaby products alleviate concerns with toxic chemicals leaching from baby products.The company provides safe, functional, elegant products for little ones. The thinkbaby complete feeding set (above) is free of BPA, phthalates, nitrosamines, lead and PVC. This sleek set works for everyone from beginner eaters to school-age kids. Perfect for feeding baby, the pieces are also good for school lunches and even for storing and transporting food. The set includes a Bento box with airtight lid, soup bowl, baby bowl, kids cup, fork and spoon, all made from highly sustainable materials. The Bento box, bowls and cup are lined with removable food grade stainless steel liners. I'm pretty sure I'm going to be using that Bento box myself! 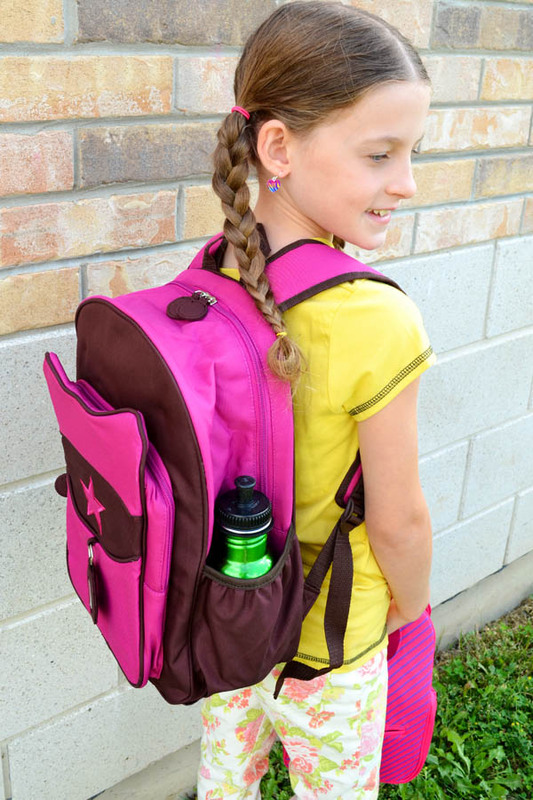 I'm so excited about sending my kids back to school with products that are stylish, but more importantly, healthy for the kids and our environment! I'm thrilled to bits to be able to offer one lucky Canadian reader this incredible package of amazing, earth-friendly back-to-school products, worth over $125! My thanks to Go Green Lunch Boxes, Milkdot and Fenigo.com for their generosity! The prize includes a Go Green Lunch Box, a Milkdot backpack, a Dabawalla lunch bag and a Sling Sisters reusable snack bag. Prizes may not be exactly as shown. You will have the opportunity to pick from available styles. Please enter using the rafflecopter widget below until August 29th. Good luck! The Go Green lunch bag is my fav! Great products and great models! I'm a senior and I would like a go green lunch box. Well done, mom!!! I would have never guessed how dangerous the simplest things are (very sad). I'm looking forward to checking out the links. Also, the kids look great! Pure Hydration Sport Drinking Bottles (with a Straw). thanks. I like the pure hydration bottle in yellow and the lunch purse in pink. Not everybody is aware of it Jo. This is great information. I will share this post on my personal Facebook page my mommy friend's awareness. I like the BUILT Big Apple Buddies - Kids Lunch Bags, the Cornelia Kitty. So cute! I really like the FunBites. We have the hearts one but my daughter wants the square one too. I love the Hutzler what a neat idea for kids! I like the S'well Insulated, stainless Steel Water Bottles. I like the Ocean Blue one. Can never have enough water bottles. The Original Goodbyn™ Lunchbox is great! My boys love the soccer lunch bag! I love all the products but my favourite has got to be that Happy Face set of dishes and silverware! How adorable! Lunch bags, lunch purses and the big and small snack bags. So many neat items. Hard to pick one thing. I really like the Easy Lunchboxes!! All your products actually! Go Green lunchbox would have to be my fav! I love the Go Green lunchboxes this is perfect for portion size! I love the Goodbyns, the stickers you can put on them are so cute! I love the go green and laptop lunch boxes. So many cool things on that site. The laptop lunchboxes are spacesaving! I like the colors too. Ooh, I love all of it! 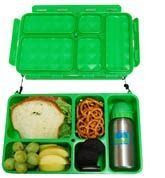 But could definitely use the Go Green lunch box for L... thanks for a great giveaway!! I really like the Yumbox Lunchbox, it is so practical and cute. I love the go Green lunch bins. I like the snack Attack Carrot & Dip to-go. So adorable! I like the Wrap "N" Mat best. 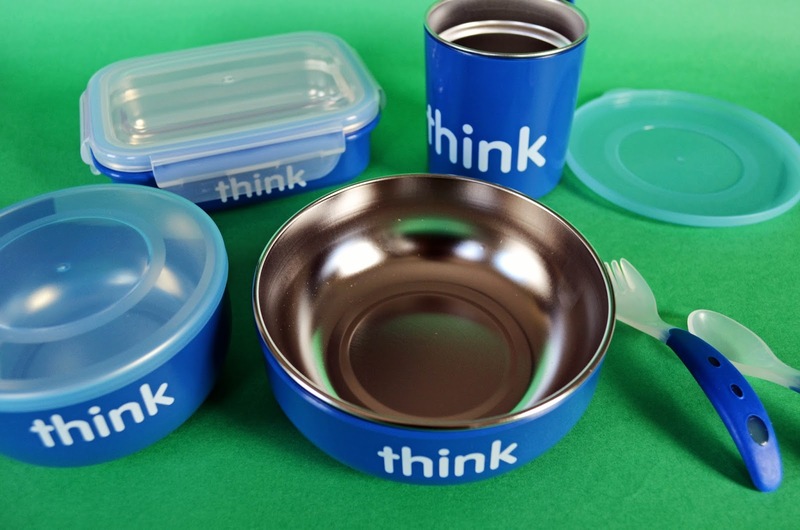 love THINK containers. Use them almost everyday. I love the Think pack!!! This is such an exciting variety. Thank you for this post. I currently use stainless steel lunch boxes that are only available in the U.S. - love supporting what's available HERE. Visiting from Real Food LUNCH BOX Series at nourishstratford.com. I have been using Snack Taxi snack bags for four years now and they are really practical and durable. The go green lunchbox is our fave! I want to try the Little Green Pouch! I love the brilliance of the snack attack carrot &dip to go! I really like the reusuable snack and sandwich bags !! Love the yumbox! Awesome for my picky kids. I love the Dharma glass straws, the Fuel Stainless Steel Thermal Containers, and so many more items. Thank you for the giveaway. I love all the Crocodile Creek products! i like the Goodbyn™ Lunchbox stuff, i always need that stuff! I like their Easy Lunchboxes. They offer some nice items. I love the reusable snack bags! We could use the "Clip IT" Containers this fall. I LOVE the Go Green Lunchbox! 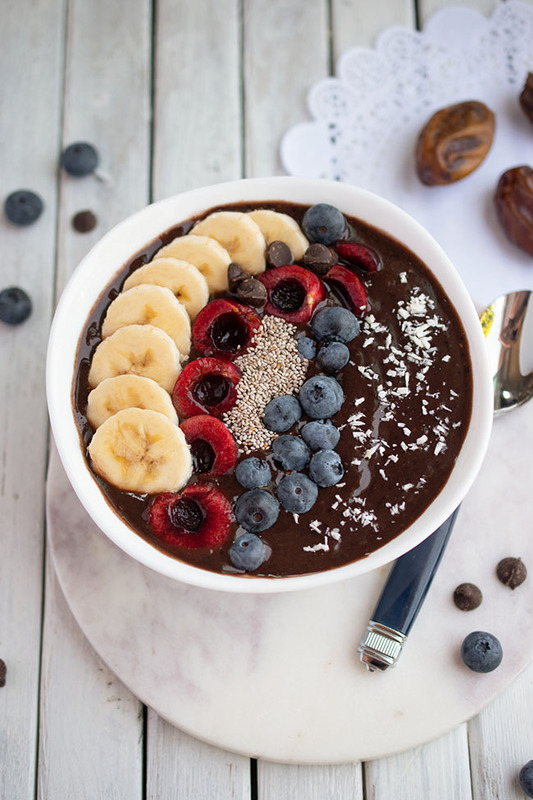 My kids come home for lunch, but I often send them at least two food groups for their morning snack at school and this would be perfect with the little compartments. THe Hutzler Food Storage Containers look fab and functional !! !